*Disclaimer: I received this wine as a sample from the PR folks for Wines of Germany. I think the answer is no. Generally I love Riesling. It’s a great, almost always, low alcohol wine with plenty of acidity, making it extremely food friendly for all different types of cuisine. 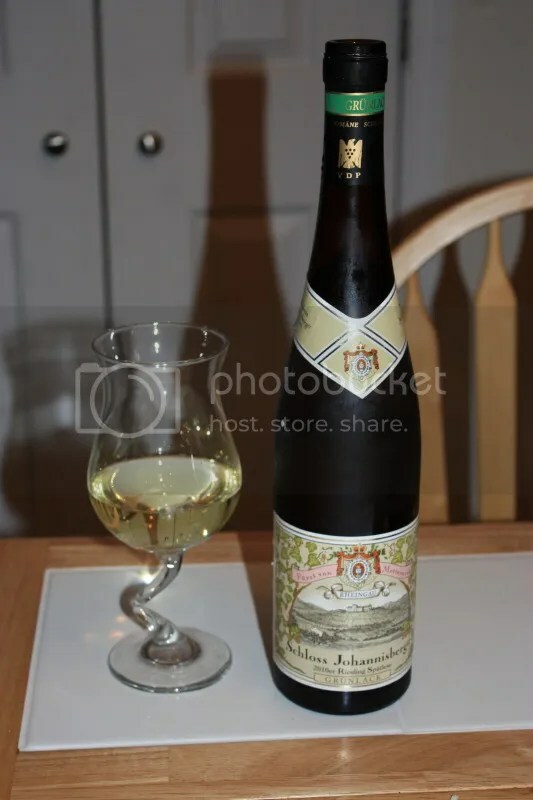 With that in mind, we pulled the 2010 Schloss Johannisberger Grunlack Riesling Spatlese from the cellar the other evening to enjoy with a very heavy chicken casserole. The wine has a real cork closure, clocks in a 8.5% alcohol by volume, and looks to retail for around $40. 1.) Put the lime in the coconut… Okay, well perhaps not coconut, but lots of lime and something tropical lurk on the nose. 2.) This Riesling will perk up any boring holiday meal. 3.) For everyday eating I’m thinking this would be excellent with the Zuppa Toscana I make. 4.) One should never be intimidated by strange German wine labels because great things often lie within. The weather has turned in my neck of the woods. Today felt as if we’d jumped to early winter and completely skipped fall. 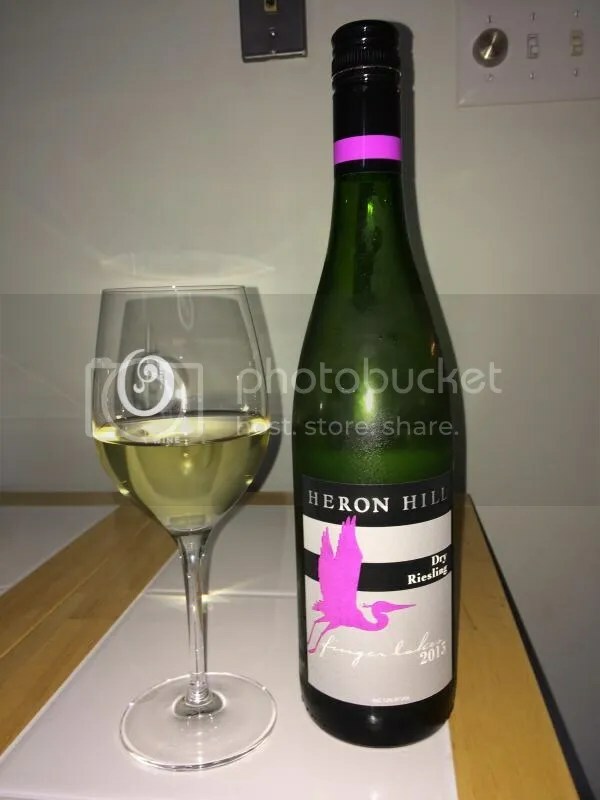 When the weather cools down and I want white wine, I tend to pull wines with a bit more body and complexity off the shelves versus the summer fare of Sauvignon Blancs. 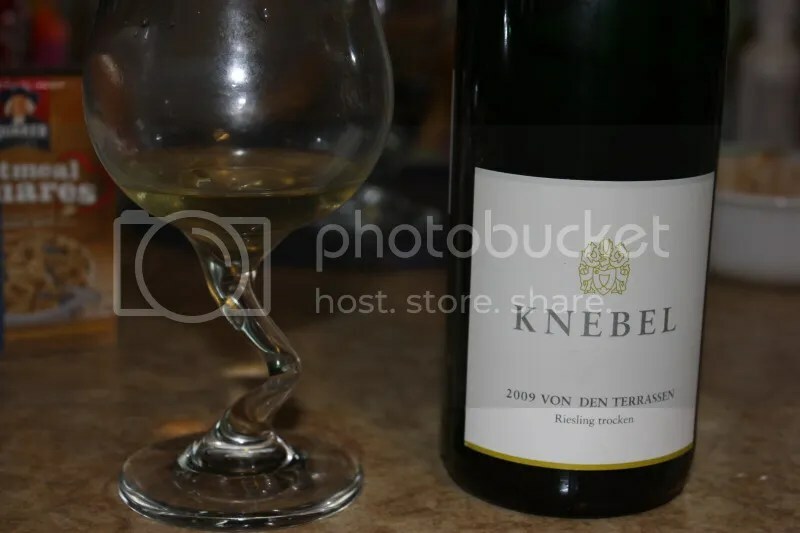 Tonight I chose the 2009 Knebel Von Den Terrassen Riesling to fit the bill. The wine has a screw cap closure, clocks in at 12.5% alcohol by volume, and retails for around $23. 1.) A beautiful riesling that had a lot going on for the price point. 2.) I’m thinking ahead to turkey, this would be a definite good choice for the white wine drinkers in T-day crowd. 3.) The 2009 rieslings have overall been lovely in my experience. 4.) 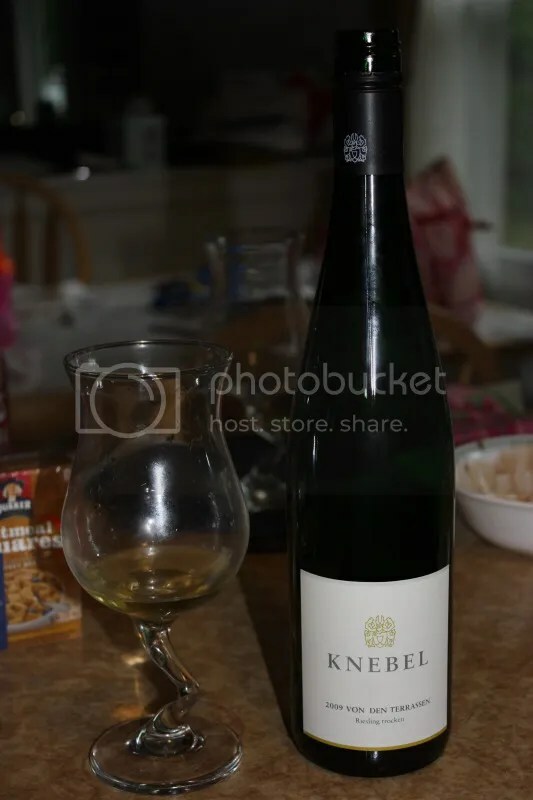 I was surprised by how delicate and racy I found this riesling to be. On the nose I found honey, lemon, pear, white flowers, peach, honeysuckle, and wet stones. In the mouth I got lime, pear, white peach, and a mineral streak. The wine had excellent acidity with fresh tart, clean fruit flavors. The mineral streak/wet stone added nice complexity to the wine. For our 7th wine we have another Oregon winery representing with their 2009 Brooks Ara Riesling. This one retails for $25. This smells almost creamy to me with a little sweetness on the nose, plush peach on the nose. In the mouth I am finding it to be crisper, but definitely with stone fruit and some minerals. I’d like to drink this on its own. 6th wine coming our way during the speed dating round at WBC 12 is the 2009 Amity Estate Dry Riesling. Amity is an Oregon vineyard, yay for representing at the speed dating. The wine retails for $20. Very lime-y on the nose with bright tart acidity shining through even on a sniff. Some tropical notes hiding under the initial lime, kumquat and star fruit notes coming through. On the palate it’s crisp with awesome acidity, more lime, and other tart citrus. Pair with a raw bar. The 4th round of speed dating at the WBC 12 is the 2008 August Cellars Riesling, made with fruit from Eastern Washington and retailing for $14. Lime, stone, minerals, spice, and white flowers on the nose. The palate shows residual sugar with tangerine, honey, honeysuckle, and nice acidity. Drink alone or with a lovely cheese tray. I know what you are thinking. Napa? Riesling? Really? Yes really, and it’s good. I can’t say that I’ve had a lot of Riesling from Napa. In fact, I’m not sure I’ve ever previously had any. The 2010 Cornerstone Stepping Stone Riesling registers at 13.5% alcohol by volume content, has a real cork closure, and retails for $18. I seem to have misplaced my photos for this bottle. 1.) 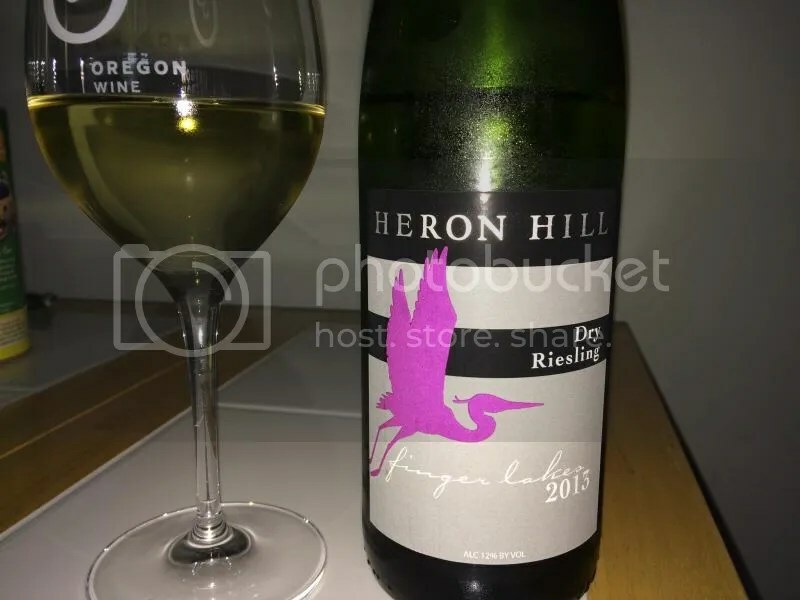 A warmer climate riesling, the tropical fruits stood out for me in this offering. 2.) Don’t serve this wine too cold, it will mute the flavors. 3.) I’m universally impressed with the new line of offerings from Cornerstone Cellars. 4.) I would recommend this wine as a great value from Napa. On the nose I found lemon, stone, honeysuckle, star fruit, and floral notes. In the mouth I got lemon rind, pineapple, spice, honeysuckle, white flowers, perfume, and wet stone. Overall I found the wine to be tropical without being sweet.